It's Official: Terry Porter is New UP Coach! Re: It's Official: Terry Porter is New UP Coach! All the way from down under, I'd imagine he will bring a player or two, and maybe end the dominant right of recruiting St. Mary's has recently claimed in Australia. At the Blazer game last night, Terry Porter was shown on the big screen and got a large round of applause. Good to see him wearing a Pilot hat! Let's hope this is just a small window into the recognition that this hire can bring. He also got some camera time and a comment on the ESPN broadcast (with some nice words about Rev as well). DoubleDipper wrote: Multiple sources are indicating that Ben Johnson will indeed be coaching on the Bluff this fall. 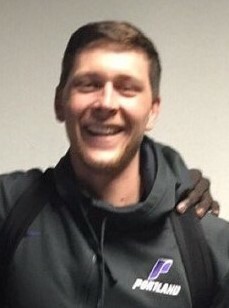 This week the Basketball Queensland family said a fond farewell to Ben Johnson who has taken a position on the coaching staff at the University of Portland in the US. No word on who will fill the last remaining assistant spot, but it will NOT be Ken Bone...just too much hangover from his troubled tenure at PSU. Geezaldinho wrote: Will the team stand for the national anthem? Or will we follow the Saint Mary's pattern there as well? Wait, wait. The Aussies on SMC don't stand for the national anthem? That's outrageous. I'm not even American and I think that's ridiculous. To be fair, this year the team did stand for the national anthem. ( fewer Aussies on the team?) I even congratulated them for it. But in past years the team left the floor for the anthem and returned later. If I had to guess, I'll bet the conference told them to show respect. ...hahahahahahaha, that post is a blast from the past! Location : Check behind the basket or in the drum squad. I probably have a cowbell. 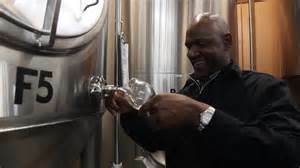 Sales of limited-edition Terry Porter Beer from Gilgamesh Brewing and its distribution partner, Columbia Distributing, have raised $50,000 for OHSU Doernbecher Children’s Hospital.....five times the $10,000 goal. Do you suppose we'll be seeing Terry Porter (Beer) in the Pilot House and at the Pilot Club? Well, maybe. If they do, AFan might finally join the Pilot club. I'm not a porter guy myself, even if I could grow into being a Porter guy. Maybe I'm being optimistic, Geez, but I think you can get $145 for your car if you'd like make a donation. Oh wait, would helping pay for a student-athlete's education even be legal? Forget it, keep your car. Franklin stays at St. Mary's. "...Also, since someone else announced it tonight at the alumni board meeting, Randy said that Porter will transfer to play for his dad." It really doesn't come as a big surprise as 1) I'm sure Franklin wants to play for his dad, 2) Freshman Tanner Krebs, a 6-6 SG coming off his redshirt year at SMC would most likely be ahead of Franklin on the depth chart, and 3) With the #1 Australian prep SG, Angus Glover, coming in 2017, Porter could have been behind both of them. As stated before, would love to see both Franklin and Malcolm Porter and Joseph Smoyer redshirt next year....for Franklin, the transfer rules will demand it....just have to hope UP's request for a waiver to the one year loss of eligibility for transferring within the WCC is a good one and SMC doesn't balk at the move. Coach Bennett has not proven to be the easiest to work with on occasion. My guess is one of the Porters will use the open scholarship and the other will be a walk-on....TP's not gonna want to sell that Porsche. DoubleDipper wrote: Do you suppose we'll be seeing Terry Porter (Beer) in the Pilot House and at the Pilot Club? Keeping the discussion focused on beer, the answer to the question is yes and yes and more. When the Pilot House reopens on June 6th, Terry Porter will be available on tap, and when the soccer and basketball seasons roll around beginning in August, Terry Porter will be available at the Pilot Club venues. PilotFan66 wrote: Does anyone know anything about the other new assistants? Has anyone been hired? Rev and Colin have new jobs. Does anyone know what Eric Jackson and Mitch Johnson are doing? Not in the news yet, but Coach Jackson was confirmed as an assistant at Montana State University today. A wonderful guy and a very good coach, there's no doubt in my mind Eric will eventually be a head coach somewhere. Good to see he landed on his feet. It's been rumored for a couple of weeks that Burns was leaving to join his long-time friend Coach Leon Rice at BSU, but maybe just importantly for Burns, there was also speculation he'd receive twice the salary that he would have gotten at UP. There were of course a number of reasons Burns was hired at UP, but IMO the biggest reason was his knowledge of the WCC and his recruiting ability. But as there is really no recruiting necessary in the short-term, it's going to be a lot more important to hire a coach who really wants to be at UP and who can relate to the players on a level that gets them moving in the Coach Porter direction as soon as possible. Glad to see there's finally public acknowledgement of Coach Ben Johnson's hiring at UP....just three weeks after it was announced here on PN. It is unfortunate that Burns is leaving--I really liked him and his coaching profile. I guess it is better that this happens now, rather than a year from now, in terms of recruiting, building relationships, and for the players. Moving on... hopefully Porter's list of candidates considered is still handy... hopefully another top candidate that was previously considered will find a home here soon. PilotNut wrote: Moving on... hopefully Porter's list of candidates considered is still handy... hopefully another top candidate that was previously considered will find a home here soon. One name that pops out from the short list of candidates for the UP head coaching position is Jim Shaw's, but as he is the head coach at his alma mater, NAIA Western Oregon, it might be close to impossible to pry him away from that job unless the $$$$ is just too tempting for him to pass up. Hard to say how much money the school can cough-up to hire one of the best #1 assistant coaches of all time, but IMO Jim is the guy for the job. Remember, Jim has about 25 years of D1 assistant coaching under his belt, including five at UP, and everywhere he's coached the teams have had some of their best records, including NCAA Tournament appearances at Idaho St, Oregon St, UP, Oklahoma, UW, and St. Mary's. Jim has proven he can recruit, coach, and win.....it would be a wonderful homecoming if he could return to the Bluff after a 17 year absence. Wazzu fan here. You got a steal in Ben Johnson. He brought in Aron Baynes and Brock Motum under Tony Bennett. Johnson stayed on after Ken Bone took over, but it was never a great match. Johnson is from the Bennett tree so he values high character and defense, Bone valued the opposite. Bone also didn't want to pay to send Johnson to Australia to recruit so the pipeline dried up. 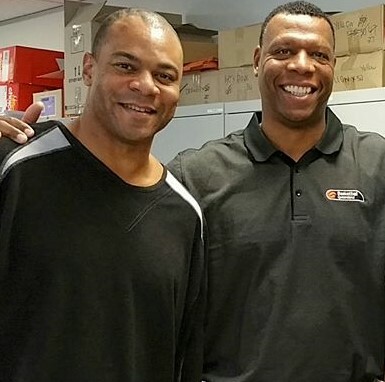 Still, Johnson was on some great recruits that Bone passed on (Stephen Holt, Siyanni Chambers, Hugh Greenwood). Since Johnson has re-established his ties in Australia, as long as Portland has the budget to send him there to recruit he will clean up. I really look forward to watching your program develop. Porter will get his system in place and win with tough nose basketball and players you are proud of. Best of luck, and beat the Zags. Hey, nice endorsement, archycoug...thanks for posting on PilotNation. After spending a few minutes with Coach Johnson last week, I came away impressed with his relaxed and personable manner, and just from that short meeting, I too got the impression UP did in fact get a "steal." It would not surprise me if Ben ended up at a high major again at some point. Important as it is for a coach to have good repoire with a student-athlete and his parents during the recruiting process, it is probably equally as important to have an excellent relationship and reputation with that player's coach.....and from what I have heard, Coach Johnson is well respected in Australia prep circles. Current UP freshman Chier Maker came to UP from Newington College in Sydney where the coach is said to be a strong judge of character and only likes dealing with "good" people....and apparently he "strongly approves" of Ben Johnson as a recruiter and coach....and that's a good thing because two of Newington's players have made verbal commitments to UP for next year. UP basketball fans do, however, have a couple of bones to pick with your Cougars, archycoug.....C Conor Clifford and F Robert Franks were both strongly recruited by UP, but both ended up in Pullman. Not sure how either performed in the Pac-12, but they would both have been very good WCC players. But on a more positive note for WSU/UP relations, Julie and Mychal, the parents of today's most famous Cougar, Golden State's Klay Thompson, met in UP's old gym, Howard Hall, when Mychal was a Trail Blazer and Julie was a volleyball player at UP. Yup, he was one of two candidates in last week. IMO, the Pilots don't necessarily need another good recruiter, having both Terry Porter and Ben Johnson, but in addition to being a excellent recruiter, Bob Cantu should be the man who can provide and X's and O's for the guys. Although the Coach Porter style is thought to be tough defense, Coach Cantu's UTEP teams have generally been pretty prolific scorers. Coach Cantu has consistently been rated as one of the Top-20 assistant coaches in D1 basketball, and just last year was called the #4 best assistant at a mid-major school. Entering his 20th season of basketball coaching when he arrives on the Bluff, his experience at coaching at USC and UTEP and his 10 trips to the postseason, should make him an excellent and key additions to Coach Porter's staff. Kramer should be smiling, a trusted source outside the university today confirmed he's been promoted from DOBO to Assistant Coach!! Good for Scott and Coach Porter for recognizing a great asset already in place at UP. Not only is this promotion good for Kramer it is excellent for the program and the players. It had been rumored that Kramer had been talking to the Blazers and the Hawks about a potential position within those organizations, but I think he really proved his value to UP MBB during the drawn out transition between staffs.....and it was recognized. This is great news for Coach Knutson! I am glad he will be sticking around, as he has proved to be a strong asset. Coach Cantu is also an interesting hire--he has good coaching experience in Texas and Southern CA, both of which are rich recruiting grounds. Time will tell, but as was mentioned on here somewhere previously, this is clearly a higher caliber coaching staff than UP has had in my time... lets hope that translates to on the court success. Soon. Coach Porter was the guest for almost the entire second half of the one hour "Trail Blazers Courtside" this evening on CSNNW. It was an interesting if not entertaining show (the first time I've watched "Courtside"), and it was yet another chance to get to know TP a little better. For the most part nothing new or "inside" was revealed.....but when it comes to all the NCAA rules, providing for his son, Malcolm, ("can I drive him to school? "), and recruiting in general, he did say, "I have our compliance guy on speed-dial." Looks like the next repeat episode is on Tuesday evening at 7pm on CSNNW....but check your local listings!